Vilkovishk is located in the South-Western part of Lithuania on the shores of the Seimena River, a tributary of the river Sesupe, about 18 km from the border with Prussia (now Russia) and 3.5 km from the St.Petersburg-Berlin railway line. It was one of the oldest towns in Lithuania, when in 1660 King Jan Kazimir granted it city rights (Magdeburg rights). 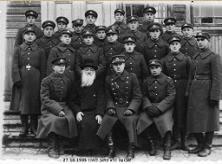 According to tradition, Jews began to settle in Vilkovishk already in the fourteenth century, but in the old Jewish cemetery tombstones were found dating only from 1575. At the beginning of the sixteenth century Queen Bona (wife of King Zigmunt August the second) donated timber to the citizens of Vilkovishk for building prayer houses. 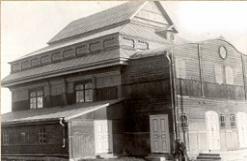 Jews too were among the beneficiaries and built their synagogue in 1545, which existed till World War II, having been renovated several times over the years. It contained a grandiose oak "Aron Kodesh" (Holy Ark), three stories high (11 meters), decorated with artistically engraved wooden ornaments, which housed several scrolls brought by those expelled from Spain as well as the usual Sifrey Torah allowed to build a cemetery for themselves. At the beginning of eighteenth century deceased Jews from Koeingsberg (Prussia) were brought to Vilkovishk for burial, because they were not allowed to build a cemetery for themselves. In the middle of the eighteenth century a cholera epidemic hit the town of Vizhan (Wizajny - now Poland) about 35 km south of Vilkovishk. 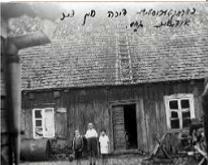 Jewish refugees from there who were not allowed to enter Vilkovishk, settled in a forest nearby and the community of Vilkovishk supplied them with food. Many of them died and were buried near the forest. 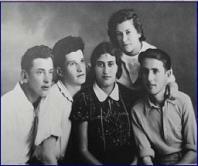 Descendants of these Jews later settled in Vilkovishk and lived there till the Holocaust. "Jewish residents built a small synagogue to the memory of a man called Pacas's wife, Ann. More information Further, smaller sinagogues were built during the interwars. on the 7th April in 1679 The Jews were granted permission to enhance trade and were allowed to sell drinks and various goods. 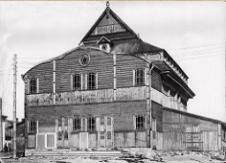 Tradesmen, such as goldsmith, tinsmith, tailors etc., were allowed to work in the town. They also could have a school and three houses alongside. They could have their own cemetry and practise their own customs. They could build a slaughterhouse, where they had opportunity to sell meat without limits. In 1732 Vilkaviskis had streets named: Dvaras (Zamkowa), Gudeliai (Gudelska), Kaunas (Kowienska), Naumiestis (Wladyslawowska), Aukštoji (Wysoka), Varšuva(Warszawska) and Gardinas (Grodzienska). paaiškinti kodėl buvo jos lenkiįkos ) Vilkaviškis had a Market with 25 stands. 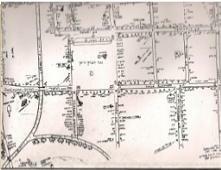 However, in 1747 the market grew to 31 stands. Moreover,two new streets and backstreets appeared off Kaunas street. Unfortunately, during June and September of 1781 and during October of 1782 Vilkaviskis suffered several fire outbreaks. 47 houses, warehouses, public houses were destroyed in the flames. However, the people were determined and started to rebuilt their properties. 1790 the same time the town got permission to build a brickyard"
The majority of this material is taken from the article by Josef Rosin.Mr. 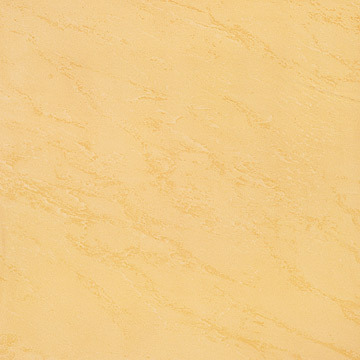 Rosin has kindly given his permission to use this material.